I read the minister of Community Services’ recent response to child protection social workers’ circumstances and the concerns that the union has identified. “We want to make sure our social workers are well supported and we believe they are,” said Kelly Regan. I was reluctant to speak out after ending my permanent employment with Community Services for fear that I may jeopardize things if someday I wish to regain employment with the province. After reading the minister’s recent comments about the supports in place for our social workers, and her absolute lack of concern for their well being, I feel compelled to speak out and likely end all possibility of returning to work for the provincial government. I apologize for jumping around a lot, however my thoughts are all over the place as I am so stricken by the lack of empathy, compassion or understanding demonstrated by Kelly Regan. The practices of our current government and its restructuring have done little but exacerbate an already dire situation. I’d challenge the honourable Kelly Regan to go back and conduct exit-interviews with the many social workers who left permanent government positions in the last few years (including myself) for jobs with less so-called stability and much lower pay grade before making any further speculation about the support provided to our social workers. In my small office alone I can count four of us who did just that during the time immediately surrounding my own resignation. Perhaps it would also be enlightening to spend just a few weeks sitting in the chair of today’s child protection social workers – it wouldn’t take a day to see just how undervalued social workers are. Walking through the offices of the social workers employed in the Honourable Kelly Regan’s riding, it might look like we are taking adequate care of our child protection social workers, but I assure you it is all smoke and mirrors. Perhaps the minimum standard of care is being met in the Central Region (although I suspect that a little digging will unearth evidence to the contrary) but it is most certainly not being met in the rural communities. When we can say that numbers of cases per social worker are well within the minimum standard it is clear to me that there are two problems with this statement. One, clearly these standards did not take into account the increasingly lengthy process of documentation required, especially for court files; nor the increased travel time since restructuring began. And two, just because the positions are allotted in each area does not mean that those positions are carrying a case load. In many offices there are constant vacancies. And while it saves the tax payer tons of money by not even advertising the positions until they are actually vacant, it adds a significant load to the remaining workers who have no choice but to pick up the slack. Rural offices see a revolving door of social workers who are putting in their time in order to move to their area of preference (generally the metro region). So not only is there a constant state of flux and vacancies, but the workers do not generally have enough time to get to know their community, resources and clients – and often – more importantly – vice versa, before they move on, or are moved in order to meet a more pressing need. The straw that broke the camel’s back for rural social workers – who face the unique challenge of living and practising in the same community – came when offices began to be shut down and positions moved to a “central” office with new boundaries. Perhaps on paper it looks like that works, but when travel time is added to an already heavy and intense caseload, it is simple common sense to know that this will not alleviate concerns. There is no possible way that this has not had a negative impact on the service provided to children and families. Response times are inevitably longer. And now the social worker who chose to live just outside of her catchment area in order to avoid such ethical dilemmas as being called to her neighbour’s home, or crossing paths at her grocery store with many of her clients, has lost all ability to take control of that challenge. I had seriously considered purchasing a home further away, outside of our catchment area, in order to avoid the conflict of living and practising in the same community. Thankfully, I did not, as I simply would have added a long commute time to the office, while the catchment area had grown to include the community I might have lived in. Social workers are required to drive their own vehicles and are entering some of the sketchiest of situations. In small rural communities workers’ cars become known as the “welfare” car. Not only does it become difficult to arrive inconspicuously (the neighbours often know whose car it is and what the owner must be doing at the client’s house), but it also means that when out in the community, or even coming and going from one’s own residence, clients now know their workers’ car (and therefore, address). Prior to seeing my workload increase significantly, which ultimately resulted in the all-too-important documentation to suffer, I was struck by the absolute lack of empathy towards social workers and their team. After calls that required debriefing in order to face the next days, weeks and months of working with a family, were left with that debriefing unmet; with supervisor(s) who were too busy and stressed out by their own demands to provide the necessary support… I chose to hang up my all too short-lived social worker badge for good. Let me be clear, when I chose to uproot my children and move them to a new community I was making a career choice, with every intention of living out my working days with the department. Working conditions are unsafe for a multitude of reasons. I’d like to see what other professions working with similar levels of volatility have the same high expectations placed on them. Imagine walking unprotected into a home that is known to house guns (or worse yet does, but is not known to), in order to protect the well being of a child. Imagine being just weeks on a job and being sent with absolutely no job specific training (aside from reading a manual) into a home with red flags jumping out everywhere, but not knowing what those flags are let alone having the simple training that would tell you the standard procedures that would prevent the worst. What if you did not know that something as minor as always parking your car facing out (for quick exit), or never removing your shoes in the client’s home, or always scanning the room and placing yourself in the vicinity that would prevent all paths to the only exit from being blocked? This is labeled as common sense when it is brought up. Yet the only reason you’ve brought it up is because you have witnessed coworkers doing just the opposite of this “common sense” and know that it has never been discussed let alone “trained”. The majority of new social workers today are coming straight out of university, straight after high school. These social workers with often limited life experience are left on their own to learn most things the hard way and when more outspoken social workers bring these concerns to the floor, concerns are met with “well, this job isn’t for everyone”. Not all workers have the common sense not to get into a client vehicle, but they shouldn’t be left to learn the hard way that the job just isn’t for them. And such instances should be met with training opportunities, not reprimands. There is a series of training required of social workers in order to obtain status to act as an agent of the department. This training covers the absolute basics of the job from proper documentation (for court purposes that can in many cases win or lose the file and the ability to protect a child from further harm), to how to practice from a trauma-informed approach, to interview skills and more. Social workers are lucky if they get to start this training before a year of their job has gone by. By this time they have already made countless decisions, answered a multitude of calls by themselves, and written numerous documents and documentation that will be used, in the worst case scenario, in a family court process deciding a child’s future with or without their family. I put a rush on completing my training because our office was short on qualified agents (who are the only social workers able to act after hours or “on-call”, or able to take a child into care), and I did not even begin my training for a year after starting my job. As it turned out, I had already learned a number of not-recommended processes from co-workers, supervisors, and the files that I had inherited, that I needed to unlearn by the time I went on course. Lack of this training early on meant that social workers with absolutely no familiarity with a file were (and continue to be, I am sure) issuing notices to take children into care. Lacking the in-depth knowledge of a file mean therefore being unable to answer the tough questions in the moment. I was good at my job. I had a background and life experiences that allowed me to jump in and hit the ground running. Yet I became physically ill due to the strains of my job. I had come to feel that I could do my work to the utmost best of my ability and if one of those grey area decisions came up – even after consulting with my supervisor – if things went wrong, I would be hung out to dry. Lack of training also means that social workers transport volatile teens, sometimes alone, sometimes with a counterpart with even less training than the “senior” worker on duty. These transports often take hours at a time, and always in privately owned and insured vehicles. The most frustrating part of this work, was not the work itself, but not having the resources to offer that families really need to be able to address the concerns and make things better for their children. You’ll note that I haven’t mentioned the work itself. Yes, child protection is challenging work. Yes, it can be dangerous, and yes, it often feels thankless. 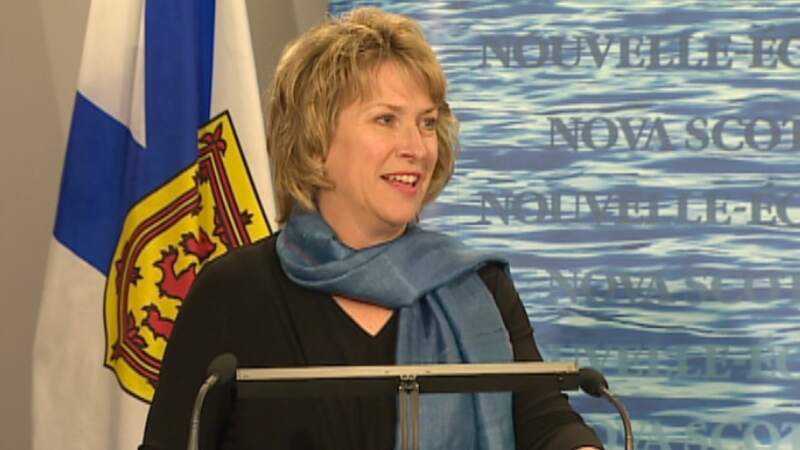 But the real hardships come from the lack of empathy, support and value that is communicated by the employer – the department of Community Services, province of Nova Scotia. It is about time the union spoke out against such conditions much more than before. And it is about time that the government takes a long hard look at an under-resourced, under-supported and clearly under-valued vocation. This article was originally published on October 14, 2017 on Trish blogs 4 change. We appreciate Trish McCourt’s kind permission to re-post her article here. IMAGINE-YOU ARE COMPLAINING ABOUT YOUR JOBS,BE GRATEFUL,YOU HAVE ONE….ALSO FOR A MOMENT IMAGINE US-YOUR CLIENTEL- HOW WOULD YOU SURVIVE ON 535.00 A MONTH,SOMETIMES LESS , YOU THINK YOU HAVE STRESSES-I WOULD CHANGE PLACES IN A HEART BEAT.-WE GET TREATED LIKE CRAP,WE FEEL LIKE WE DONT MATTER,DONT EXIST,AND CERTAINLY NOT LIVING IN A LITERAL SENCE-BUT MERELY SURVIVING,(I SAY THAT LIGHTLY) LUCKILY I HAVE THE SKILLS TO SURVIVE,BY THIS I MEAN TO SHOP THE FLYERS,ADVOCATE FOR MYSELF,I TRY TO DO EVERYTHING WITH PROOF THAT I HAVE ,EVEN WHEN CLAIMING A CHANGE,I GET THE RECEPTIONIST TO GIVE ME CONFIRMATION THAT SHE RECIEVED ON SUCH AND SUCH A DATE,COUPONS,WHATEVER I CAN DO I DO DO. …NONE THE LESS WE ARE NOT LIVING,EASY DECISIONS FOR YOU LIKE JUST GOING FOR A DRIVE,CALLING EDMONTON TO SEE HOW FAMILY OR FREINDS ARE,TAKING OFF TO THE BAHAMAS,GETTING A TREAT AT DQ ,GOING TO THE BEACH OR LAKE CAUSE ITS HOT,OR BUYING A GIFT FOR YOURSELF OR SOMEONE ELSE,EVEN THE EVERYDAY MEALS,GAS FOR THE WEEK,CAR,YOU GET MY POINT BY NOW,I COULD GO ON,MY POINT IS BE GRATEFUL FOR WHAT YOU DO HAVE,THE LITTLE THINGS FOR YOU ARE THE BIG ONES FOR US,AND TAKIN A TRIP TO THE BEACH IS JUST A DREAM TO US,FOR YOU ITS A NECESSITY,TO US A NECESSITY IS FOOD,MEDS,OIL,AND WE CANT HAVE ALL THEM,WE HAVE TO PICK AND CHOOSE. To the person who commented above about imagine being on the other side of the fence— I have been. Just a couple points of clarification. The original article is about child protection social workers, you’re talking about income assistance caseworkers ( who may or may not be social workers). I was a single mom when I went to university and when I got pregnant I ended up on income assistance. That makes it sound easy— it wasn’t—I had to advocate for myself to get there. One casework supervisor in income assistance was perfectly content lying about my eligibility to the point he would have allowed me to drop out of university. Luckily, I wasn’t as familiar with the system then as I am now, or I might have believed him. Yeah, I said that right. Anyway I didn’t and I switched to wanting to be a social worker because of his lies. And now I am. I was on income assistance, then was an income assistance caseworker, then a child protection worker. I left child protection but not because I was burnt out, I took another opportunity. The system here in Nova Scotia is an absolute mess. It needs to be reorganized a lot ( I also worked in Alberta where they do more with less staff). All in all I worked in protection, mostly as an investigator, for 8 years. I’ve been elsewhere for the past 2.5 and sometimes I miss it. True story. I met a lot of people in some very challenging situations and together we worked through many. I felt honoured when they were able to trust me enough to share their situations with me so I could try to help. And honestly I didn’t blame them when they didn’t. I also met people who didn’t want my help at the time. People who brutally beat their partners, one who intentionally broke a step child’s leg, quite a few who couldn’t see how their addictions negatively impacted their kids. Most people I met however could see how what they were doing wasnt safe for their kids, they just couldn’t stop the snowball from rolling down the hill. Sometimes we got it stopped, sometimes we didn’t, but we tried together. I never looked at my clients and thought of them as the problem. It was always very clear that what I was seeing was symptoms of much larger problems, sometimes generations old. It bothers me to think that when clients see that social workers are struggling they think it’s because of them. I will tell you it’s not. It’s complex it’s related to workload, training and I think personal suitability which is rarely talked about. Anyway. All this to say it’s not a case of me vs you. We need to work on solutions together. Unfortunately our world seems to be getting worse at collaboration, when we need to be getting far better. I absolutely agree with you Cindy. Income Assistance levels are far too low for anyone to survive, let alone thrive. That’s a whole other conversation that I have both personal and professional experience and interests in. Thank you for your courage to speak up. Cindy, you are right, it is horrible to be poor, I too didn’t have the best start, tine in reform school, Truro, then some time in jail, living on welfare with a grade 8 education. I got tired of living that way, went to university as a mature student and completed a BA. From there I did the 2 professional years for a BSW and then a MSW. I was 10’s of thousands of dollars in debt. I paid my loans off as I was able to get a decent paying job because of the education. Is it fair, hell no, who gets paid what amount are all human decisions made by elected governments. But, the way it is set up is what we have to live with while working to change a broken and unjust system. We don’t have to be grateful for the conditions we work in any more than you should be grateful you get a monthly check without working. I get a pay check whether I care or not about the conditions my clients have to survive in but I do care and I get frustrated because we don’t do better taking care of folks who need it. The reality is social workers are leaving child welfare not social work. The frustration of not having enough resources to offer families in support of their situations is the hardest part of the job. I think almost every social worker would tell you that. It shouldn’t surprise me that the vocation that needs the most empathy from its employers and partners is the one that has the least. Yet it does. How can we be good at helping those in our communities who need it most, if we can’t even do it for our “own”? I hear you! Your situation echoes that of teachers who were never given proper support when inclusion was deemed the BEST way to handle those with challenges. I too left my job as a result of too much stress. I was fortunate that I was due to retire. I wish you well in your new job and thank you for working under the extremely volatile conditions you were faced with and without proper training , support and supervision. I also thank you for setting us the public straight. The bureaucrats are wonderful at quoting that standards are being met and the level of staffing is appropriate and so on; I challenge them to walk a mile in your shoes. I am a retired front line Child Protection Worker of 28 years with the Children’s Aid Society of Stormont, Dundas and Glengarry. In 2009 I testified in the Cornwall Public 50 million dollar inquiry. I told the public on live camera that the system in place sets workers up for failure, for the same identified reasons outlined in the aforementioned article about Trish McCourt. This is also the one year anniversary of the Readers Digest Canada feature article on burnout, I am the feature article pg 40-45. I underwent a two year recover with therapy and I swear the first year in therapy I think all I did was cry, I was that depleted. By 2013 I had recovered from my burnout and returned to my duties as a child protection worker and worked another two years when I took early retirement. When you are in burnout, you cannot see the light at the end of the tunnel, it is very dark in there, many of my colleagues burned out and have not recovered. When you burn out you give up the chase. The hope that you can create a meaningful life frizzles out and you find yourself sitting in the ashes of your dreams. Geraldine, I know exactly that feeling. Fortunately I have been to those depths of despair before and knew I could pull myself out. Sadly I had always felt I wouldn’t be happy working within the system and had avoided it. But a day arrived that I felt I had so much I could bring to the role that it would be worthwhile. I wanted to make a difference. I just wasn’t willing to lose myself in it. I recently retired from my vocation as a social worker. For the better part of thirty years, I did serve in the arena of child welfare services, primarily in the investigations of physical and sexual abuse, some in urban but primarily working in rural areas. I did work with high risk adolescents, and their families. I did also work in the field of therapeutic foster care. In retrospect, I think that my most tedious and difficult work was as a “long term protection worker”, meaning that I had a caseload of high risk families whom I was assigned to support and monitor for safety of the children therin. I could write a book , as they say I should, but I do not have the energy, the emotional stamina, nor could I ever risk to abandon the respect of my former clients. Perhaps, someday, I will find a way to tell the story with compassion from all sides. Meanwhile, I am grateful to hear the voice of this lady, Trish McCourt, and I want her to know that I attest to her every word. I know her truth. I applaud her courage. And I will be there for her if she ever needs me. Thank you Georgette. That means a lot. I have worried a little about backlash of speaking up. I am relieved to know there are people I can lean on for support should the time come. Telling this story was worth the risk. It is time for change. If for no one else, then for the families, chikdren, parents, communities that will be better served by a healthy and whole social worker. By the way, I also carried out most my work in Long Term Protection. If you really want to experience burnout try being a parent fighting for your children, for years dealing with lawyers who only only want the process to run on. Most of the children removed from biological parents are done so for the most erroneous reasons. Your childrens rights are trampled your rights as a parent are trampled. Your finances exhausted your home eventually lost to foreclosure all the nights you cry yourself to sleep knowing your children are doing the same and being abused by foster parents for doing so. My personal experiences with community services, both child protection and social assistance programs and senior housing depts., have been disappointing…almost traumatic in nature. I am among the many consumers who have no faith or trust with the dept of community services. Regretably, it is only to the social workers that we get to voice our concerns and perceive a lack of empathy, compassion, caring, etc…..even a coldness of heart.It is even difficult that the social worker is being honest, truthful. Sorry, but is time for truthful dialogue….not only with the employer and employee, but also we, the consum2er. We should be invited to share our horror stories of abuse within the community service depts….another voice that hopefully can stimulate change.